I was contacted by Jason to rehabilitate the old company website that was not performing. His company was not enjoying any decent search rankings, and the site looked old and outdated. We decided on a clean simple design that would allow for him to login and create new promotions himself, without the need of a web designer. 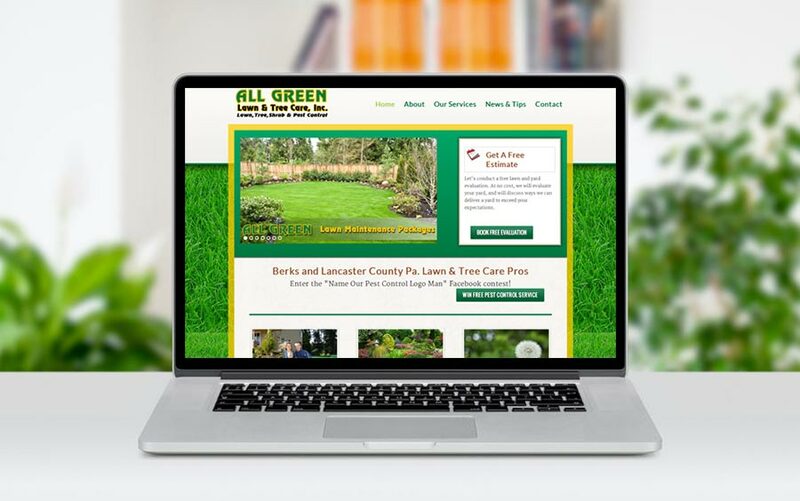 AllGreen immediately started experiencing an improvement in lead conversion, and the site has gained steadily in the search engines and enjoys top placement for many of their desired search terms. McQ web design took us from zero search engine placement to leading rankings for many search terms. I am very impressed with the communication and professionalism I received, and I will certainly refer others to McQ.